Screen Capture Tools – What are the Best Options? Being able to take pictures of your screen can be really helpful sometimes, especially if you want to send a screenshot to your friend or maybe to get some help with a computer problem. Fortunately, there are some great tools out there for doing this, and I’ll give you some recommendations on the best tool out there to get those screen snapshots. Did you know that if you have Windows 7 on your PC, that you already have a screen capture tool? It’s called the Snipping Tool, and it’s very easy to use. All you need to do is search for it in the Start menu. When you open up the Snipping Tool, you’ll see this box and your cursor will turn into a target. You can then capture a region on your screen that you want to save. Once you do this, your image will open in a window where you can save it. One problem with the Snipping Tool is that it doesn’t’ allow you to do a whole lot with the image. The tool itself is very basic, and does not have a lot of features. If you’re looking to take a quick screenshot, however, this is your ticket. Using ScreenPrint32 is a bit different than the Snipping Tool; the user interface is not as intuitive. When you first open ScreenPrint32, you are given some options. The way the program works is that you must choose a “hot key" to press when you need to take a screenshot. ScreenPrint32 is not as easy to use as other alternatives, but it offers the right mix of features and cost. That’s because it’s totally free. If you want something more feature-rich than the Snipping Tool and don’t want to spend any money ScreenPrint32 is right for you. Just keep in mind you’ll need to spend a bit more time learning how to use it. Snag-It is a full featured screen capture tool. Although it has a lot of options, it’s pretty easy to get started with. If you’ve used the Snipping Tool before, using Snag-It will be a breeze for you. When you open Snag-It you will be given many different choices about how to capture your image. Don’t worry – you can just hit that red button in the lower right hand corner to just take a regular capture. What’s great about Snag-It is all of the different options. It even has a nice editor for images. It’s not exactly Photoshop, but it really offers enough for most imaging tasks if you’re not trying to edit images at the layer level. Snag-It is free for thirty days to try, an after that you must pay for a $49.95 license. So, there you have it. Some easy to use tools for screen capture, most likely software that won’t cost you any money unless you want to get the full-featured Snag-It. Have fun with those screen captures! Guest article by Daniel Cawrey who is a freelance writer on technology. In addition to writing about network management, he also has a blog where he writes about Google Chrome. I would select SnagIt as number one. It is heavy, costly, bulky – but damn good. 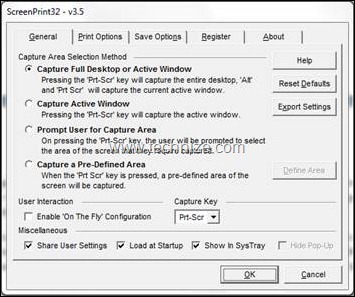 fast stone capture is best screen capturing software…………. I also use Snagit a lot but now I’m also testing out with Wondershare DemoCreator which I recently gave out in giveaways. Definitely agree – Snagit is The screen capture software. i have been using faststone for 3 months, it didnt asked for any registratn so i think its free, and its just 1.05 mb………..